The LG V10 is available from Verizon, T-Mobile, and AT&T runs on Android 5.1.1 Lollipop but is upgradable to 6.0 Marshmallow. 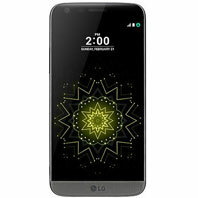 It utilizes 4G LTE networks (where available). The V10 has 32GB or 64GB of internal storage depending on the model and supports microSD expansion up to 2TB. It has a hexacore Snapdragon™ processor with 2 cores at 1.8 GHz and 4 cores at 1.4 GHz, and a 5.7 1440p display with a dedicated second screen for app icons and notifications. The V10 also has a 5 MP front-facing camera and a 16 MP rear-facing camera. The LG G5 is available from AT&T, Sprint, T-Mobile, Verizon, and U.S. Cellular, runs on Android 6.0.1 Marshmallow, and utilizes 4G LTE networks (where available). The G5 has 32 GB of internal memory and supports microSD expansion up to 2TB, a quad-core Snapdragon™ processor with 2 cores at 1.6 GHz and 2 cores at 2.15 GHz, and a 5.3-inch 1440p screen. The G5 also has an 8 MP front-facing camera and a 16 MP rear-facing camera. 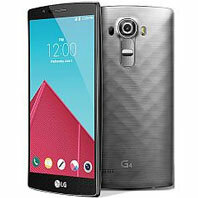 The LG G4 is available from AT&T, Sprint, T-Mobile, Verizon, and U.S. Cellular, runs on Android 5.1 Lollipop, and utilizes 4G LTE networks (where available). The G4 has 32GB of storage and supports microSD expansion up to 2TB, a hexacore 1.8 GHz Snapdragon™ processor with X10 LTE, and 5.5-inch 1440p display. 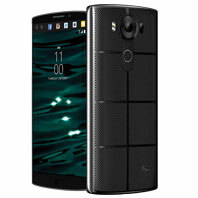 It also has an 8 MP front-facing camera and a 16 MP rear-facing camera.